Sri Ramakrishnawas one of India’s greatest Spiritual teachers. Sri Ramakrishna was unique in realizing God through practising different religious traditions and he was able to taste the bliss of samdhi through many different paths. However primarily Sri Ramakrishna was a great Bhakti saint – a devotee of the Divine Mother. Sri Ramakrishna’s intense devotion to the Divine Mother is clearly evident from the Gospel and is an inspiration to seekers from all paths. 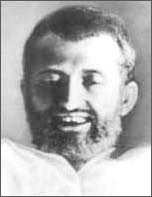 The Gospel of Ramakrishna vividly records the life and teachings of this great Spiritual Teacher, focusing on his last 5 years when several disciples came to him for spiritual instruction. Disciples of Sri Ramakrishna included Swami Vivekananda(Naren) and Swami Brahmananda. The Gospel of Ramakrishna records how Sri Ramakrishna would often sing intoxicated with divine love. “With these words the Master sang in the sweet voice that had bewitched the hearts of devotees like Keshab: The devotees felt as if they were in paradise itself.